SiS WHEY20 is the latest addition to the SiS Protein range, offering high quality whey protein hydrolysate in a ground-breaking format. 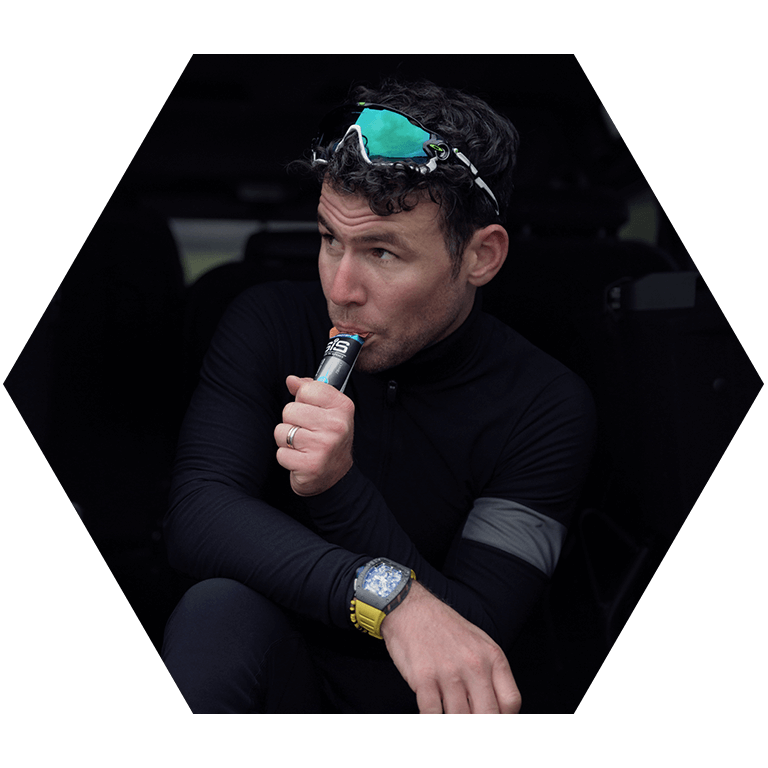 The yogurt-like texture tastes great and removes the need for a shaker and water for your post-training protein or a high protein snack on the go. • WHEY20 lets you focus on quality protein intake with no unwanted calories or added sugar. TEAR IT UP. THEN TEAR IN TO THIS. SiS WHEY20 can be used throughout the day with or between meals (such as at breakfast or mid-morning and mid-afternoon snacks) to provide a convenient way to increase daily protein intake. After training consume one serving within 30 minutes of finishing your session for maximum benefit. Whey protein has one of the fastest-known protein digestion rates, and has a high BCAA content. BCAAs make up 35% of lean muscle mass; therefore they are an essential element to include in maintaining a healthy body composition and supporting the growth and maintenance of lean muscle mass. Completely unique within the market, the innovative delivery system is yogurt-like but doesn't require refridgeration, making it ideal to consume on the go. Water, Whey Protein Hydrolysate (Milk - 20%), Quark (Milk), Fat-Reduced Cocoa Powder, Acidity Regulators (Phosphoric Acid, Citric Acid), Stabiliser (Pectin), Natural Flavouring, Sweeteners (Sucralose, Acesulfame K), Preservative (Potassium Sorbate). Just tear off the top and it's ready to consume. The product flows easily so it effortlessly squeezes out of the packet. Water isn't essential but if you're having it after training it's important to drink as well so that you stay hydrated. When should I have it? SiS WHEY20 is really convenient so you can add it into your diet for a serving of quality protein whenever you need it. If you've been training, having it within 30 minutes of finishing your session maximizes the benefit of your raised metabolism post-exercise. Is it the same as your whey protein powder but in a different format? It offers the same protein benefits as whey protein but just removes the need for a shaker and water. It has a slightly lower calorie count per serving than most protein shakes too. What's the difference between this and REGO? 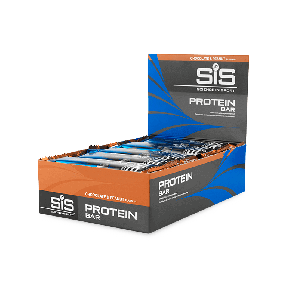 SiS WHEY20 should be used within 30 minutes of shorter training sessions, particularly strength and conditioning to promote rebuild, where carbohydrate replenishment is not necessary. REGO should be used after longer sessions where carbohydrate replenishment is required as well. 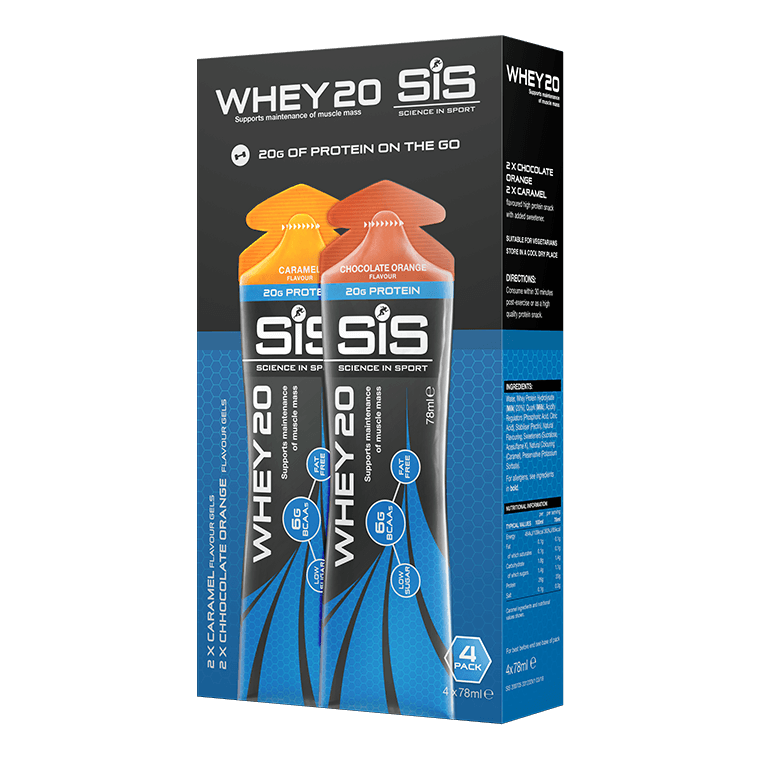 SiS WHEY20 is a dairy-based protein gel, so it tastes like a refreshing lemon or strawberry yogurt. It tastes great! Surely that means it must be full of sugar or fat? Absolutely not. Each gel contains only 1.8g of carbohydrate, this isn't added sugar but just comes from the small amount of lactose that remains from the milk origins of the product. Nearly all fat has been removed too to leave just 0.1g per gel. With 20g of high quality protein this gives you a total of only 88 calories per gel. All whey proteins come from milk so unfortunately if you are lactose intolerant then this product won't be suitable for you. It is wheat and gluten free and is suitable for vegetarians. Love the different flavours. Very easy to place and keep never taking more space than you want. Very convenient aswell as tasty and good for you body protein intake. It was for the first time to use Whey item. I think to be more helpfull to increase strength and I feel very well to use it and more healthy. Great product, superbly convenient format. These are fantastic...just before cycling or handy to take with you and the flavours are nice..
Take one every hour as suggested by sis and found they help immensely.never go out without them now. I really like these for getting that after training, immediate intake of protein. The flavours are lovely and not at all sickly, in fact it tastes like a good quality, thick yoghurt. I have started to use these following my HIIT sessions and running. They provide a quick protein boost which is more convienient than mixing a shaker of powder. The lemon isn't the greatest taste and is a bit on the sour side but I love the strawberry flavour. I will keep using these as part of my exercise routine. Hopefully some new flavours to come in the future. Surprisingly good taste and texture, and ultimate convenience. I like the most strawberry flavour whey20. Its easy to use and very comfortable. Love the Whey 20 Gels!!! Taste great and so convenient to use when i run distance and cycle for extended periods of time to ensure i don't shed too much lean muscle! Flavours are ok but the product is very useful especially don't have access to filling up the protein powder.